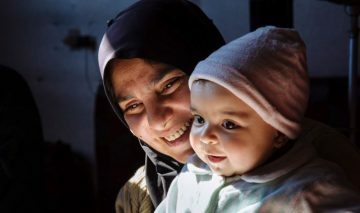 In the aftermath of the earthquakes, the government had announced that farmers in the areas affected by the earthquakes would be provided seeds for summer free of cost, and fertilizers at concessional rates. So far the government has been able to provide the promised free seeds in fourteen districts — Lalitpur, Kathmandu, Nuwakot, Bhaktapur, Dolakha, Dhading, Kavrepalanchowk, Sindhupalchowk, Makawanpur, Ramechhap, Sindhuli, Rasuwa, Gorkha and Okhaldhunga. However not all the districts have received the fixed allocated quantity of free seeds. For instance, while Lalitpur has received the allocated 10 metric tons of rice seeds, Kathmandu has only received 5.5 metric tons of the allocated seeds and Okhaldhunga has received 17 tons of the allocated 30 metric tons. According to Shiva Sundar Ghimire of the Department of Agriculture, free chemical and organic fertilizers will be distributed by FAO (Food and Agriculture Organization) as part of its agreement with the government of Nepal for maize crop to farmers in the affected districts of Dolakha, Gorkha, Dhading, Rasuwa, Nuwakot and Sindhupalchowk between March and April next year. 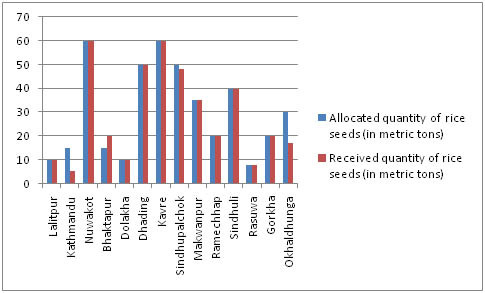 Seeds allocation and distribution in 14 earthquake-hit districts.